Aargh, doing the chores, a tedious activity in general; though I do enjoy doing the dishes as it lets my mind wander freely. 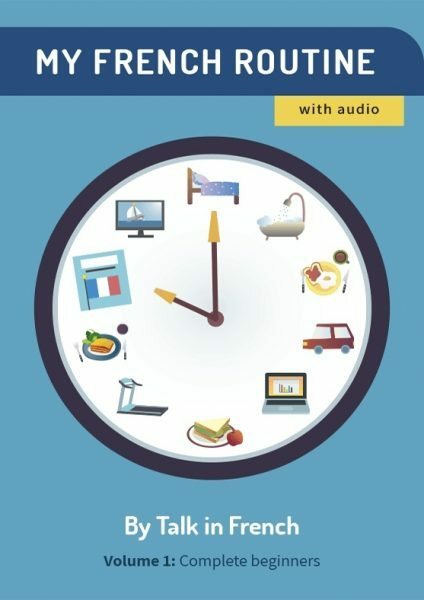 Surprisingly, this is one of the most requested topics by French learners, even though it’s not something I particularly love to talk about with my friends! But of course, we still need to know some basic vocabulary, especially if one day you are invited to a French-speaking friend’s home. You can show that you’re a gracious guest by asking if they need help. I’ve also shared some basic vocabulary related to gardening. 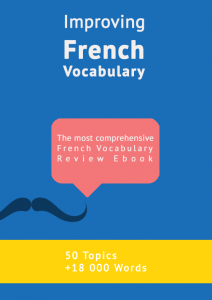 If you want to learn even more, why don’t you check out one of my e-books: Improving French Vocabulary (the most complete French Vocabulary e-book available). 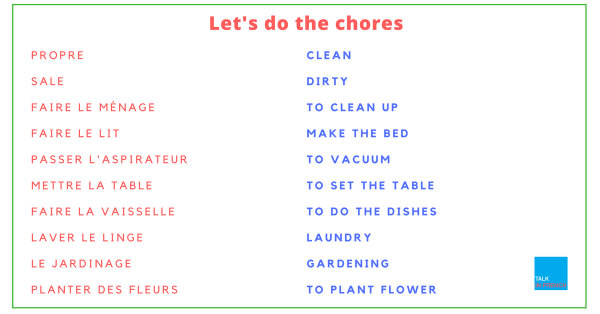 An extended version of this blog post (58 French words instead of 44) is available in PDF format if you sign-up to the newsletter. Click on the button right below. If you have already signed-up to the newsletter, check the link you received before. The PDF is already uploaded there. If you are hungry for more, do not hesitate to have a look for my e-books here. I have already got some good reviews.